MUTTONTOWN, Long Island -- The mayor of Muttontown and her husband surrendered Thursday morning, accused of not paying state taxes for five years. 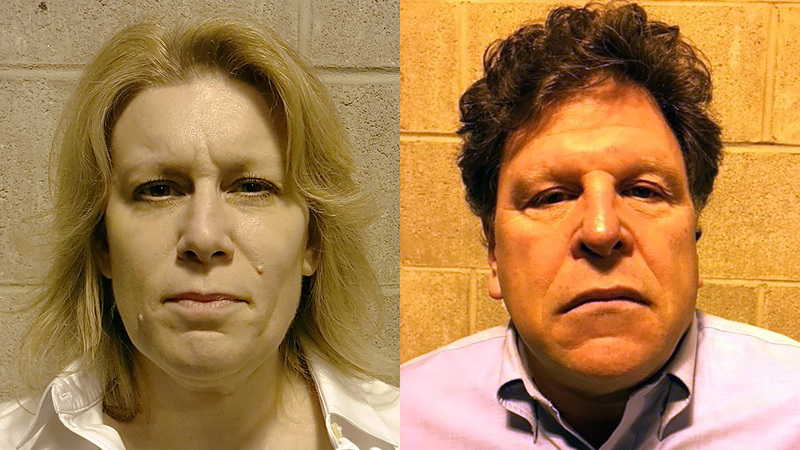 Julianne Beckerman, 48, and Adam Beckerman, 55, were arraigned before Judge Scott Siller Thursday on charges of criminal tax fraud and repeated failure to file personal income and earnings taxes. Nassau County District Attorney Madeline Singas said the defendants failed to file state personal tax returns for 2010 through 2014, "despite earning during those five years a total income in excess of $4.5 million." They owe taxes in the amount of $243,865, she said. "While nobody likes taxes, we are obligated to file them and pay our fair share, so it's especially disturbing that a doctor and an elected official allegedly failed to file their taxes for five years." Singas said. The Beckermans were released and are due back in court on May 30. If convicted, they would face a maximum of five to 15 years in prison. Adam Beckerman is a gastroenterologist with a practice in Seaford.